With heated exchanges, frank answers, and occasionally free-flowing comedy, NBA press conferences have featured more action than the court this postseason.What's led to the trend? Editor's note: Sports Illustrated’s Andrew Perloff will contribute commentary during the NBA Finals. He keeps sending us stuff and The Crossover's editors cannot continually change their email address. If we have to read, so do you. 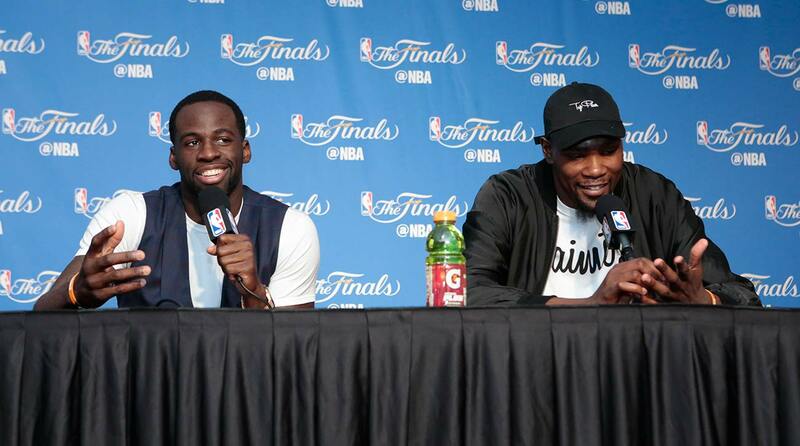 Reporter: Draymond, I’m interested in how you’ve been able to restrain yourself emotionally and avoid getting …. Draymond Green: You act like I’m just this troubled guy who’s always getting in a bunch of trouble and can’t control myself. Jesus Christ. Kevin Durant: You waiting on him to go [over] the line? Reporter: No, I’m interested in how he’s been able to do that. Green: I’ve just been playing basketball, brother. Remember when we tuned into NBA postgame press conferences for the outfits? Now instead of fashion we’re focused on what the players are saying—especially if they take exception to a reporter’s line of questioning like the conversation above. NBA players are trying to wrestle control of the narrative away from the media. While Draymond and Durant were thwarting controversy at the podium after Game 2, in another part of the arena, LeBron James was trying to sort out his own mess. Someone asked LeBron if defending homecourt was important for the Cavs. LeBron retorted “Are you a smart guy?,” walking him through why a team trailing 2-0 probably wants to win at its own arena. Heated exchanges, frank answers, free-flowing comedy … none of them are out of bounds in NBA press conferences right now. From Grizzlies coach David Fizdale’s “Take that for data” diatribe to Russell Westbrook refusing to let Steven Adams answer a question to players openly insulting one another, the podium has had more meaningful action than the court in most of these series. This is not how these things are supposed to work. Forever there’s been an unwritten agreement with the media and players that there are going to be some dumb questions and players aren’t going to say anything. Like the NFL. Most football players and coaches give robotic answers that border on nonsensical . The Patriots even practice their banal answers midweek. Apparently NBA players have broken that fragile truce and are no longer putting up with postgame business as usual. 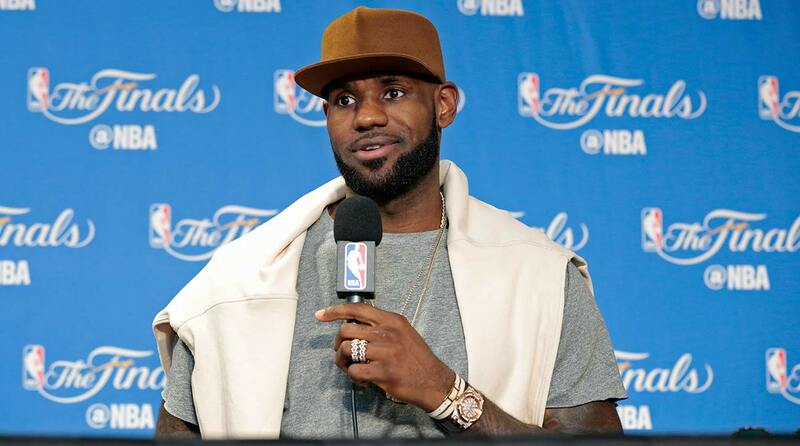 If any type of athlete is in position to control the narrative, it’s basketball stars. Many of them have staggering guaranteed contracts and aren’t afraid of repercussions if management doesn’t like what they have to say. And the sport emphasizes individual brands and voices more than football with its large rosters and its Borg-like fidelity to the team concept. But the media’s control of the storylines has been declining steadily for decades thanks to technology. For the first half of the 20th century, fans had to trust the media completely. If they were listening to a baseball game on the radio or reading newspapers, they saw the action through the eyes of a reporter. Think of the subplot in the Natural between, Robert Duvall’s character Max Mercy and Robert Redford’s Roy Hobbs. As the star reporter, Mercy flaunted his power to create any storyline he wanted. If Hobbs had Snapchat or the Players Tribune, plenty of confusion could have been avoided. Although he was an older player when he finally made it to the Big Leagues and might not have embraced tech. During the TV era of sports, fans could see all the action, but they had less access to players behind the scenes and had to rely on journalists as middle men. Journalists took a deeper dive into players’ lives and team dynamics and painted a picture that typically fans believed. Now athletes can talk directly to fans via social media and are getting more comfortable with that kind of interaction every day. They’re used to saying what they feel and aren’t interested in holding back just because there’s a table and some cameras in front of them. And they’re media-savvy enough to realize what negative pathways reporters will explore and try to head them off before they get there. The first professional press conference I ever attended was during the 1997 Eastern Conference semifinals between the Heat and Knicks. After a melee that included P.J. Brown body-slamming Charlie Ward, several players were suspended for Game 6, including Patrick Ewing. The Knicks lost that game and afterward Van Gundy wouldn’t say anything remotely provocative. About eight meaningless exchanges in, I turned to the guy next to me and said, “What if I ask Van Gundy if he kept Ewing out because of matchups and considered going to him in the second half?” Ewing’s suspension was the No. 1 story in sports, so I would have become either an instant legend or been escorted out Charles Oakley-style. I know … missed opportunity. I’m sure it would have been the only thing anyone remembered from that presser. Times have changed. Now NBA Q and A’s can make you laugh, cringe, squirm or even think a little bit. Press conferences are better than the days when guys spewed clichés or said anything they could to get away from the media. Players are taking control and reporters have to bring their A game. The only downside … fans on the East Coast may have to stay up even later to catch one of the most interesting aspects of this year’s postseason.